Moment of the day was near the end of the night when everyone in our group was going on Pirates and my son said he didn't want too. The cast members were telling him it wasn't scary, and he said he wasn't scared, he just wanted to go on Splash Mountain instead. He was serious, but was too tired to go on Splash Mountain at the end of the night. This is still an outstanding park. We got there the moment it opened (early enough to see the little show), and stayed until after closing - more then 15 total hours - and still didn't do Philharmagic (DARN, the one big regret for me of the trip! 3 year old would have loved it! ), Haunted Mansion, Tom Sawyer's Island, Hall of Presidents, Mad Hatter's Teacups, Stitch, and probably a few things I'm forgetting... and it was definitely not a very busy day! Finally, we waited for the parade. Rain caused them to cancel the regular parade, but they had some sort of rainy day parade that was totally unexpected and I thought just as much if not more fun than the regular parade would have been. Kudos to Disney for coming up with that idea! Almost forgot - One of the highlights of the trip for me was on a day we weren't going to a park, we got on the bus early to go to where our dinner reservations were via the Magic Kingdom, and on the way there our driver got a call that there was an accident and he would have to take an alternate route. The alternate route was literally straight through the prep area for the Dwarf coaster, which was really interesting to see. Lots of areas where they were prepping theming, a bunch of shipping boxes, and the Vekoma logo was on some stuff too. It was particularly interesting to see all of the theming being built, as while I have seen a decent number of coasters get constructed, it was my first time seeing theming actively produced. I was surprised to find it was on site. I didn't snap any pictures, sorry. Decided to take it in instead of try to get blurry pictures. Immediately following that, we got on a monorail only for it to breakdown. I was nearly as fascinated watching them fix that as I was with the backstage stuff. Alan Schilke is my "man crush". Our friends at Walt Disney Imagineering just shared a photo of a very special delivery they received here the Walt Disney World Resort earlier this week. We’re told it’s a key piece of an attraction that’s coming to New Fantasyland at Magic Kingdom Park. Any idea as to what it might be? Submit your guesses in the “Comments” section below. Be sure to check back soon to see if your guess was correct! If you responded with a “Seven Dwarfs Mine Train” answer, you are correct! 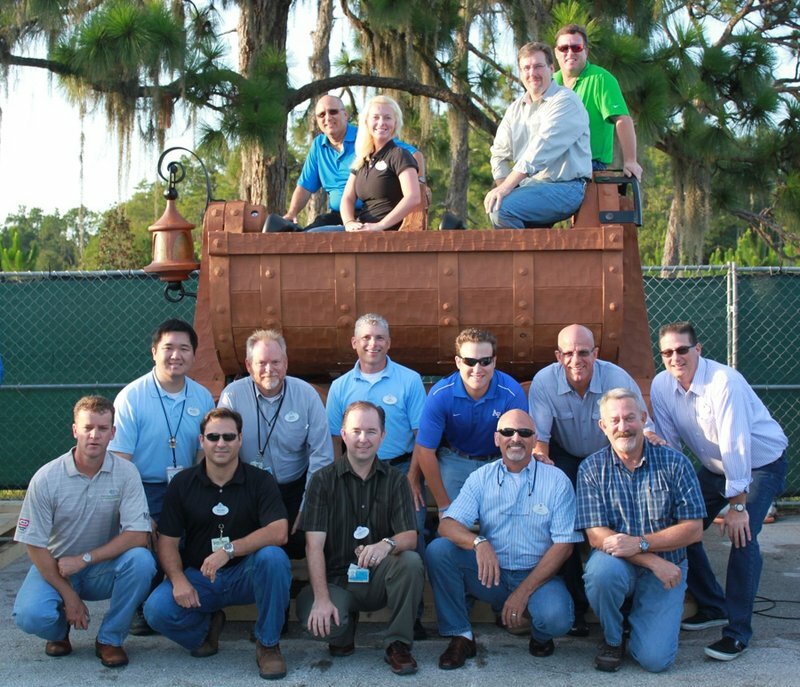 The very first mine train car was delivered at Walt Disney World this week. The car, which can be seen above, will now be taken to a backstage area where it will receive a themed paint job. 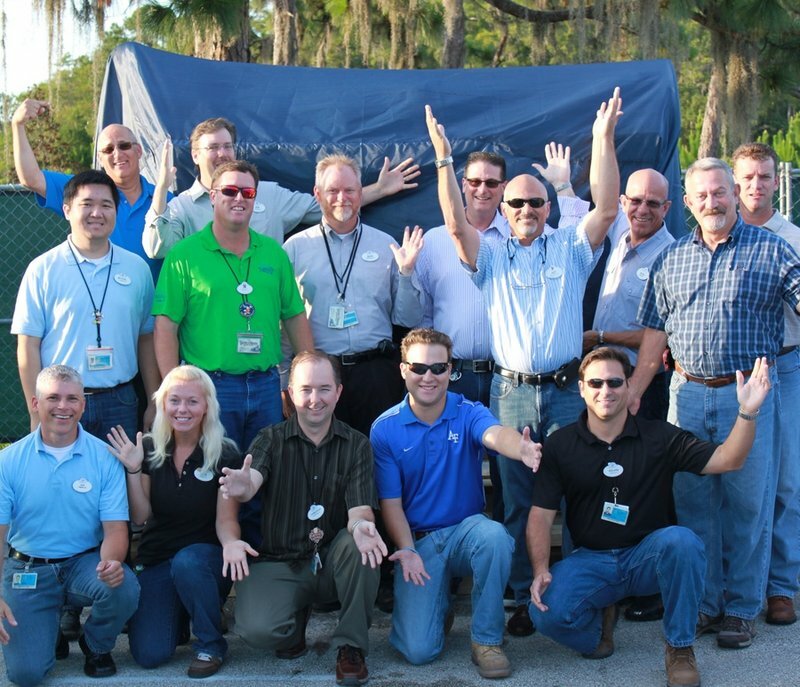 Hmm, kind of hard to see much of the vehicle since they are all standing in front of it. From what you can see though, themeing on the trains looks awesome! The Mine Train Coaster will be awesome, as per Disney usual. No one else does "family coasters" asa well as Disney. I like the look of the mine cars (the lantern is a nice touch). I wish it wouldn't take them so long to build one. We've delayed our next trip to WDW twice now. I guess you can't rush perfection. Their coasters are done well. Hopefully we'll get to FL next year.